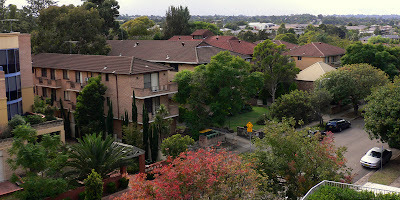 I’ve been staying in Parramatta, a suburb a bit west of the Sydney CBD on the Parramatta River. 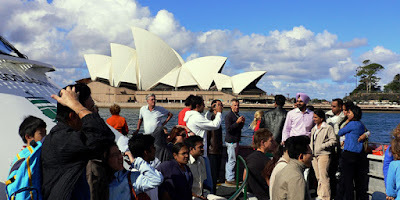 I’ve been taking the ferry, Rivercat, to Circular Quay. Here’s a view from the balcony of the flat I’m living in. 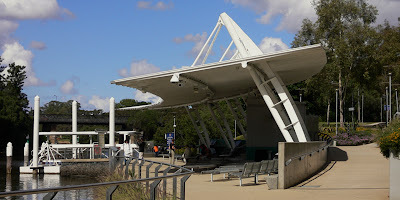 Below are some shots of the wharf in Parramatta. 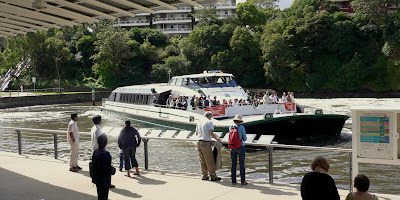 The first is the wharf and the second shows the Rivercat after it has turned around to make the trip back to Circular Quay. The trip takes 55 minutes. 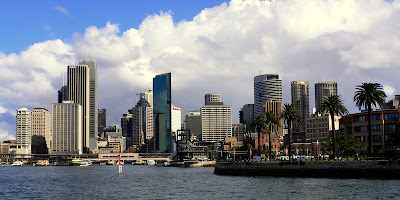 Here’s another shot of the approach to Circular Quay. Here’s part of the crowd on the bow of the Rivercat Ivonne Goolagong. All the rivercats are named after women. Ivonne Goolagong was a tennis player. I’ll be posting more soon…still no kangaroos!